Growing cacti from calloused cuttings is an excellent way of establishing plants in your garden. Select a sunny location in your garden. Build your trellis - this is an important first step when planting pitayas or dragon fruit as your vine will require a sturdy support to establish and attach itself to as it grows. A wooden round post that is chest high is ideal and if you are growing more than one plant you can join the posts together with a wooden cross bar. Timber is the perfect support as pitayas can easily attach their aerial roots to the rough service of the timber. 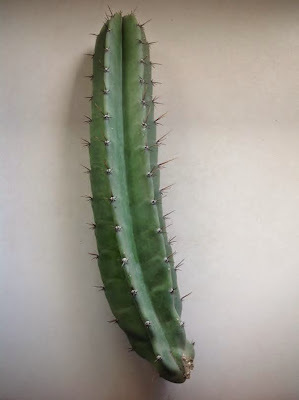 Don't make the mistake of planting them up a tree for support as it is very difficult to pick the fruit from the top of a cacti covered tree and your vine will be most productive if the arms are allowed to hang downwards, this encourages flowering and will give you more fruit. 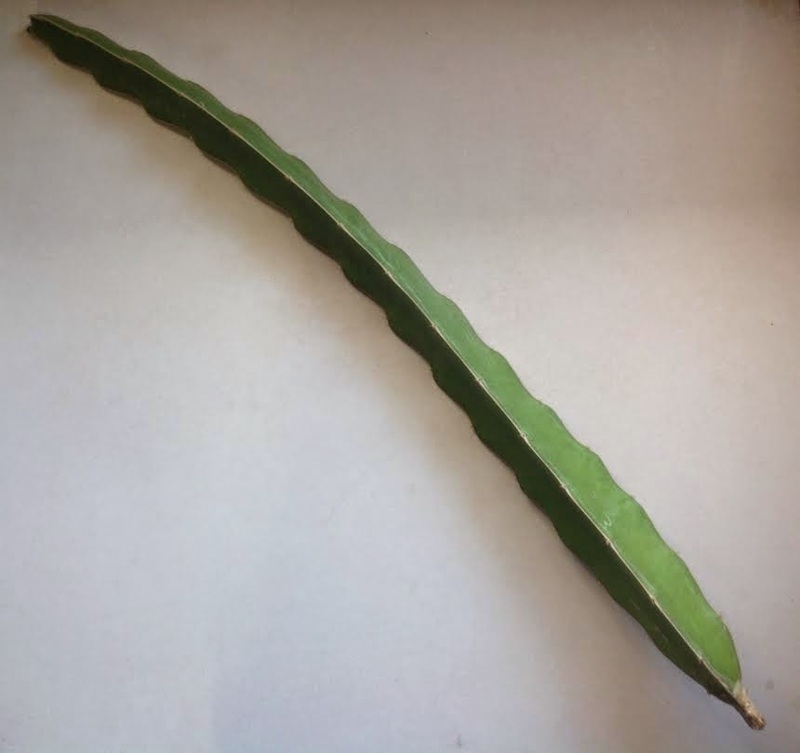 Apple cacti are columnar cacti and will support themselves once they are established, however you will need a small stake to tie them to until they are firmly rooted in their position in your garden. Make sure that the soil where you are going to plant your cutting is friable and well drained, cacti will not tolerate wet feet at all. 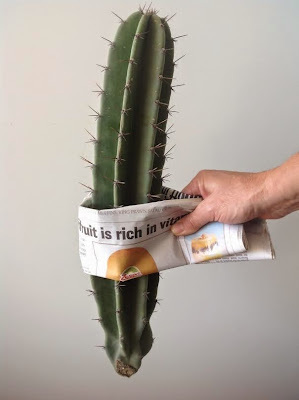 You may need to use a pair of heavy gloves to protect your hands from the spikes on your cactus cutting or use a wad of newspaper wrapped around the cutting to make handling your cactus cutting painless. Plant your cutting in the prepared soil to a depth of 5-10 cm, do not plant it too deep. You will then need to tie your cutting to its support with a soft stretchy tie, old tights are perfect for this as they are strong yet stretchy and they will not damage your cutting. You can if you wish root your cutting before planting it into the final position by following these same planting instructions and putting your cutting into seed raising mix until it forms roots. The roots of your new cutting should be well established after 90 days.